Thank you so much for visiting my blog today, I really hope you like my project. 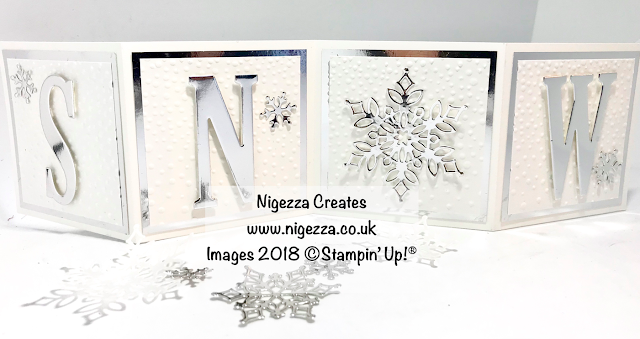 This is another card using the Beautiful Snowflake Dies that are only available in November 2018 while stocks last. I could not resist doing another project with them! I made a concertina card last year and I loved it so I decided to make it again and came u with the idea of using the snowflake die as an 'O' in snow. Score on long side @ 3" - 6" - 9"